McBASTARD'S MAUSOLEUM: Own Geostorm on Blu-ray combo pack and DVD on January 23RD or Own It Early on Digital on January 16TH! Own Geostorm on Blu-ray combo pack and DVD on January 23RD or Own It Early on Digital on January 16TH! 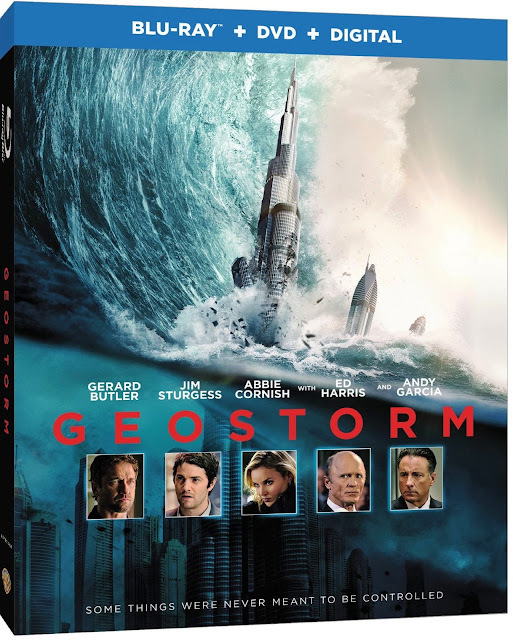 “Geostorm” will be available on Blu-ray Combo Pack for $35.99 and DVD for $28.98. The Blu-ray Combo Pack features the theatrical version of the film in hi-definition on Blu-ray and the DVD features the theatrical version in standard definition. The Blu-ray Combo Pack includes a digital version of the movie. Fans can also own “Geostorm” via purchase from digital retailers beginning January 16th. - “Wreaking Havoc: Cutting edge visual effects, research and technology create the world of Geostorm. - Search for Answers: Inspired by his daughter’s question of why can’t global warming be stopped, Director Dean Devlin retraces the creative journey that led to Geostorm. - An International Event: A global cast opens up about the secrets behind Geostorm.